Spain is a fascinating, unique culture, but the language can be hard…so, why study Spanish? If you’re as enamored with the Spanish culture, food, and history as we are, then you’ll find a long list of reasons to learn Spanish! If you’ve been bitten by the travel bug, there’s no reason to ask yourself, “Why study Spanish?” You’ll quickly see from the list of Spanish-speaking countries that Spanish is spoken in many breathtaking places, so it’ll be useful on trips. However, if you’re interested in more long-term travel, find out below why studying Spanish in Spain is a great plan. Learning a new language in a new country is very exciting, although sometimes scary! If you’re pondering study abroad destinations and wondering, “Why study Spanish?” the easiest reason is that of the laid-back atmosphere. Spanish people are very receptive to foreigners, as long as they’re polite and respecting of their customs. Adding a friendly Spanish greeting will also help you make friends. You might even get a free Spanish lesson or two if you ask politely! You’ll never have to study alone if you study abroad in Spain! Spain is also a great study abroad destination due to all the international students. In fact, Spain is the third most popular country for international studies in the world. That means that you’ll have a sizable community of other foreign students to meet and befriend. Studying abroad can be confusing at times, but you’ll never have to go it alone if you study in Spain! Here’s another response to your “Why study Spanish?” question: it’s cheap! Spain has one of the lowest costs of living in Europe, which is perfect for college students. Depending on where your home country is, it might even be cheaper to live and study in Spain than to study at home! Tapas nearly always have low prices, as well as beer and wine. Even tuition for some of the best schools in Spain is relatively low, although they differ depending on the institution. Once you find the right Spanish school for you, get in touch with us for more information. 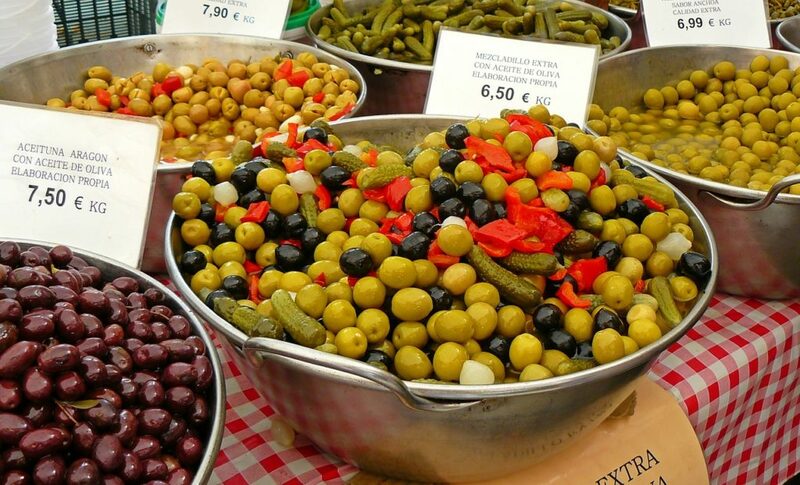 Mediterranean produce always boasts a low cost in Spain, so you’ll love the food and the price! The last reason on our list is obvious: if you don’t learn Spanish, how can you appreciate Spain? Studying Spanish will give your experiences here more depth. When you’re looking at the artworks of Spanish painters, you’ll be able to read more about their inspirations. When you’re learning a new Spanish recipe, you’ll be able to ask for cooking tips from locals. It seems like everything is better in Spanish!